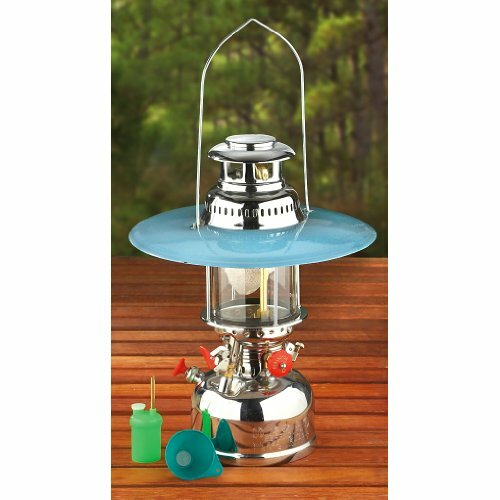 High quality lantern that puts out 500 C/p and is made of solid steel with gleaming nickel plating for beauty and longevity. Single mantle pressure pump lantern comes with a 14 inch d reflector that directs the light downward (other companies charge extra for this beautiful reflector). complete with a carry/hanging handle, funnel with built-in screen and air tube to facilitate fueling, air Regulator screw to adjust brightness, maintenance/repair kit and instructional guide with lots of troubleshooting tips. Runs on clean white kerosene. If you have any questions about this product by Mil-Spec Adventure Gear Plus, contact us by completing and submitting the form below. If you are looking for a specif part number, please include it with your message.